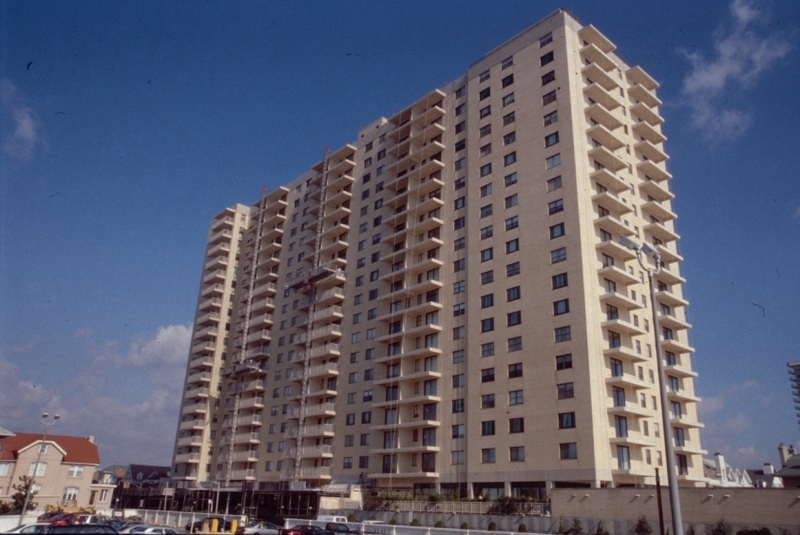 Becica Associates provided condition assessment, forensic engineering, design and construction administration for this 20-story residential condominium building in Ventnor, New Jersey, that houses 324 units built in 1970. Pedestrian hazards created by falling concrete from balcony beam soffits prompted BA’s involvement. BA completed a number of investigations including load testing of balconies to determine the cause of the failures. 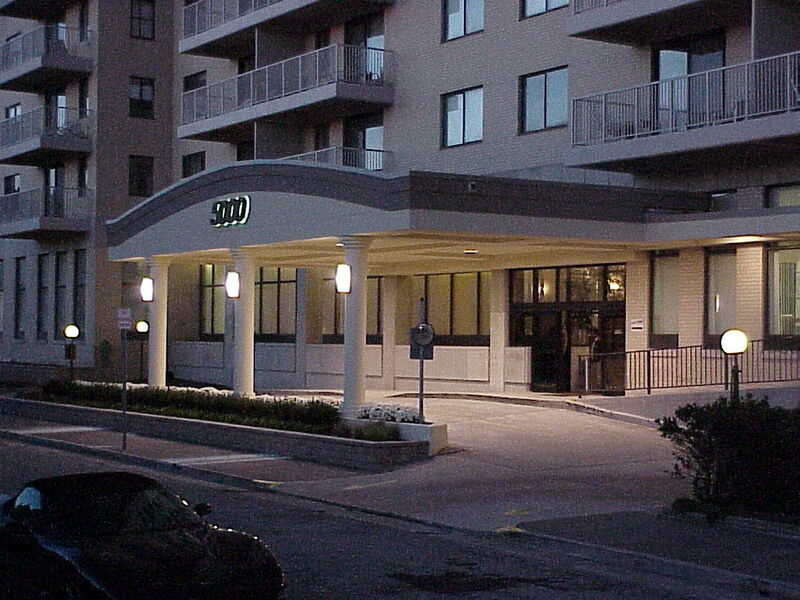 Design for balcony repairs included replacing edge beam concrete while maintaining existing balcony slabs, new balcony coatings, guard rails and sliding glass doors. Additional projects included pool deck repairs, a new front entry Porte Cochere, roof replacement, roof top cooling tower replacement and mechanical penthouse exterior wall over cladding. This entry was posted in Building Design Services, Building Envelope, Building Investigation and Pre Design Services, Commercial, Expert Report, Expert Witness Testimony, Forensic Architecture and Engineering Services, Project Formation, Repair/Renovation, Structural and tagged Forensic Engineering. Bookmark the permalink.